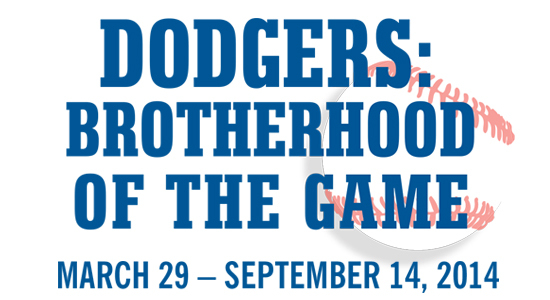 Enjoy these videos produced by JANM’s Frank H. Watase Media Arts Center for the Dodgers: Brotherhood of the Game exhibition. Few know that Los Angeles Dodgers all-star pitcher Fernando Valenzuela learned his signature pitch—the screwball—from his teammate Bobby Castillo, who hailed from East LA. Chan Ho Park arrived in Los Angeles in 1992. His excellence on the field and generosity off of it helped lift the spirits of the local Korean American community during a challenging time. Hideo Nomo arrived in America without a major league contract, but in his first season with the Los Angeles Dodgers, he was named the starting pitcher for the All-Star game and Rookie of the Year. He ultimately led the way for numerous other Japanese players to find success in the US. By breaking the color barrier in Major League Baseball and thriving in the sport, Jackie Robinson not only impacted the future of baseball, but influenced and inspired countless lives in the process. Panel discussion presented at JANM on July 26, 2014 in conjunction with the Dodgers exhibition moderated by curator Mark Langill (Dodgers Team Historian & Publications Editor) with panelists Margaret Narumi (NHK Producer), Tomas Benitez (Baseball Reliquary), Steve Han (KoreAm Journal), and Eric Dearborn (baseball photographer) in a discussion about Hideo Nomo, Fernando Valenzuela, Jackie Robinson, and Chan Ho Park. Scott Akasaki, the Dodgers’ Director of Team Travel, engaged former team manager and Hall-of-Famer Tommy Lasorda in an intimate discussion of Lasorda’s role as a baseball ambassador to Japan and other countries. The program, part of the Tateuchi Public Program Series, was held in the Tateuchi Democracy Forum at JANM on September 6, 2014. Acey Kohrogi, former Director of Asian Operations for Los Angeles Dodgers and assistant to Peter O’Malley, owner of the Dodgers, for 20 years. In the interview, he talks about Hideo Nomo’s impact on baseball and the Dodgers’s relationship with Japan. Margaret Narumi, Producer at NHK Cosmomedia America, Inc., in Santa Monica, California, for two decades has produced broadcasts to Japan of Major League Baseball in the United States, featuring Japanese players such as Hideo Nomo, Hideki Matsui and Yu Darvish. In the interview she talks about what Hideo Nomo meant to both Japanese and Japanese American fans.